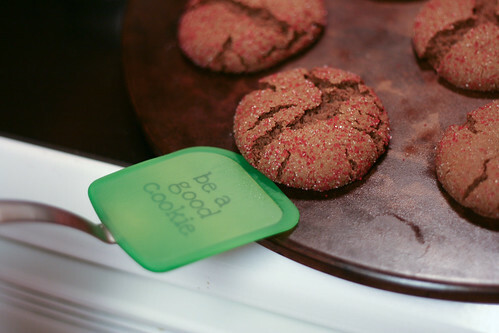 Be A Good Cookie — GIVEAWAY! 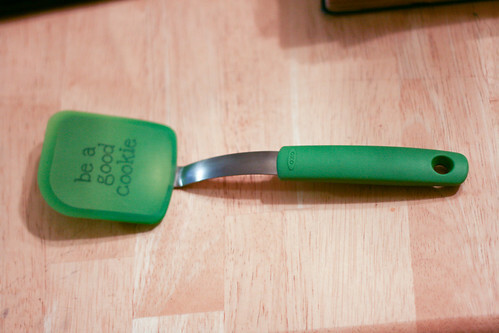 I’m so excited to announce that for my very first giveaway, someone is going to get this fabulous OXO “Be A Good Cookie” spatula! but it’s sturdy enough to handle even the thickest of cookies. Cookies for Kids’ Cancer was founded by two OXOnians (OXO employees), Gretchen and Larry Witt who were inspired by their son Liam’s battle with pediatric cancer. All forms of pediatric cancer combined claim the lives of more children in the United States than any other disease – more than asthma, muscular dystrophy, multiple sclerosis and AIDS combined. This year, we are thrilled to announce a formal partnership with this organization so close to our hearts, one that will enable us to play an even larger role in the movement to find a cure for pediatric cancer. In 2011, on top of our personal efforts to support this worthy cause, OXO will donate up to $100,000 to Cookies for Kids’ Cancer. Please visit the Good Cookies site for more information and ways to help. It can be as easy as buying a spatula for your own kitchen, or as involved as hosting a bake sale. Your involvement is up to you, and you can make a difference! Entering the giveaway is simple. The winner will be randomly selected and announced on Saturday, December 31st. United States entrants only, and unfortunately no PO Boxes. 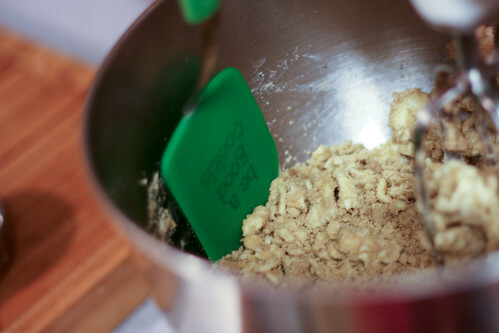 **Disclosure: I was given two Good Cookie spatulas by OXO–one to keep and one to give away. They also provided postage to mail the prize to the winner of the giveaway. What I decided to say about their product was completely up to me and unprompted by OXO. I am not getting paid to use or endorse any products. Lemon Shortbread cookies, or Peanut butter chocolate chip ❤ LOVE THEM. Also love those little almond butter cookies that you get with tea. They are SO melty. My favorite cookies are spritz, which are Swedish. They are made using a cookie press and come out with crisp edges and a buttery almond flavor. We make them at Christmas. White chocolate and macadamia nuts. ‘Nuff said. Also, I’m not disqualified for eating one of those molasses cookies pictured above, am I? Only if you don’t eat more! Oatmeal Chocolate Chip cookies are the best. I also posted on Facebook. Scott C’s Christmas cookies, made with goodness and jelly! 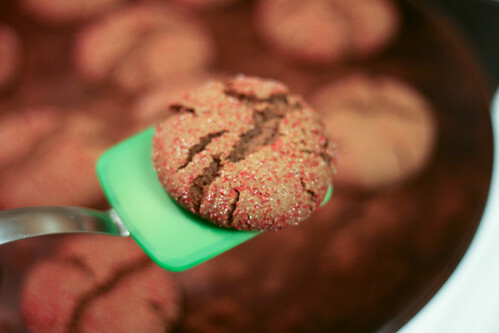 My all time favorite cookie is a molasses cookie with sugar sprinkled on top! Yum!!!!! and two pea’s and their pod’s soft gingersnaps with white chocolate chunks! 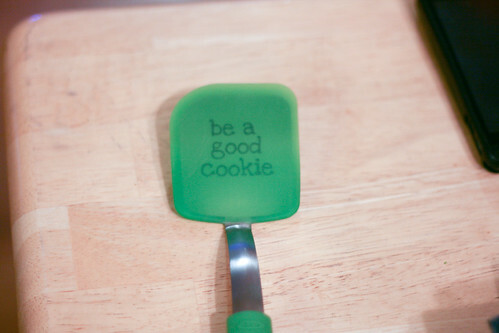 Next Next post: Be a Good Cookie — Winner!